This is a monstrous single-stemmed puriri, a previously unrecorded tree. Locals directed me to this tree situated on private land. Measurements were not taken at the time of my visit. 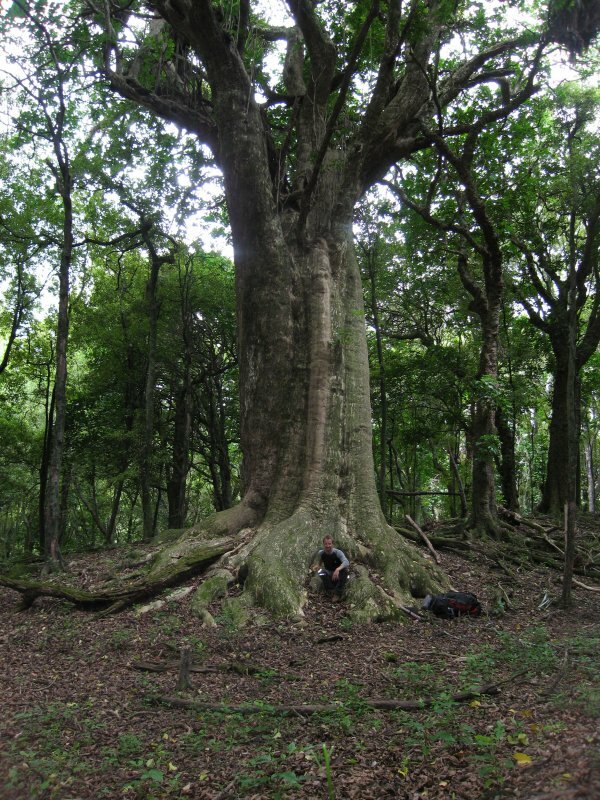 The scale of this massive tree can be seen in the image (Thilo Beeker, 2008). 02 Feb 2019 Kluiters, M.
Located in a native bush patch between the 3 Bridges on the road between Tokomaru and Tolaga Bay (ca. 30min bushwalk on private property). Park between bridge 2 and 3, walk passing bridge 3 turn left straight away and go along the river for about 1-2 km. Continue for about another km (you will cross 2-3 different paddocks by doing so) and then up the hill 90 degrees to the left. On top of the hill along the ridge turn right, cross straight over the paddock and go about a hundred meters into the patch of native bush.